Robin Adsit received her B.F.A from the San Francisco Art Institute, her M.A. in painting and drawing from San Francisco State University and her M.F.A. in painting and drawing from The Ohio State University. She was the recipient of a Pollock-Krasner Foundation Grant in 2003-2004. She has received numerous awards, fellowships and travel grants and is a member of Phi Kappa Phi. She was the recipient of a Travel Grant Award to travel throughout Spain to study the paintings of Velasquez, Zuburan, and El Greco. 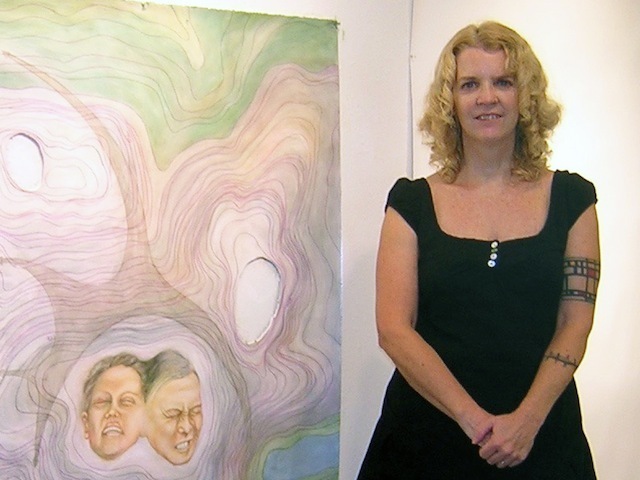 Robin's work has appeared in numerous national and regional exhibitions and Include, most recently: a solo exhibition, Trace, in the New Media Gallery at Ventura College, Ventura, CA. January 22- February 14, 2008.